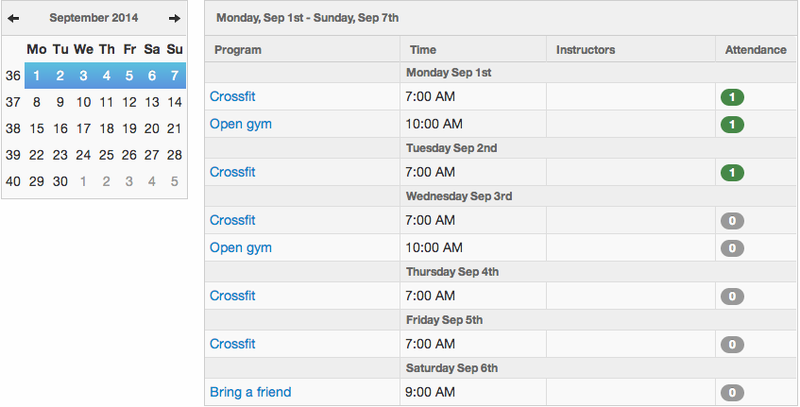 The Classes dashboard is the access point for all of your individual classes. Here you can see specific information about a class such as program name, date, time, instrutors, and attendance numbers. The dashboard quickly provides you an overview of your current week. Use the calendar on the left to navigate through to the week you want to work with. The attendance labels on the right side of the row indicate the number of people booked in and the capacity of each class (Att = attendance, Cap = capacity). Simply select a class title to view the class overview.